Our library started as a Mechanics Institute around 1834 and served as a reading room and lecture hall (and smoking room!) mainly for professional men. By 1851 it occupied two ground floor rooms on Princess Street, where Vandervoort's Hardware store is now located. 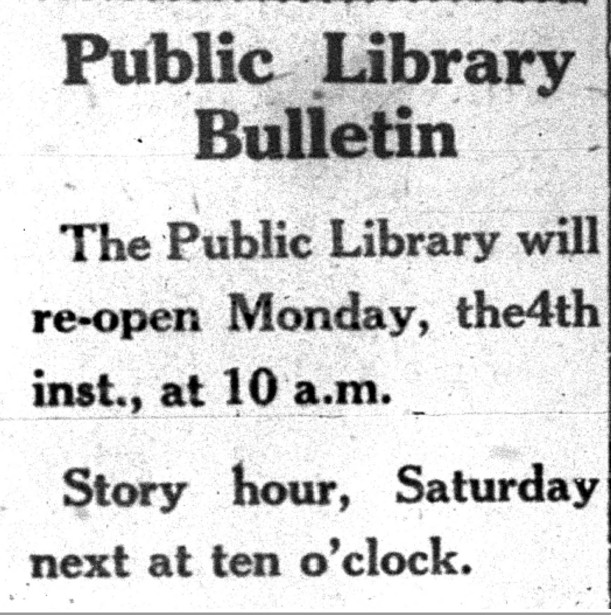 In early January 1910, the library and reading room was closed due to an outbreak of typhoid fever. 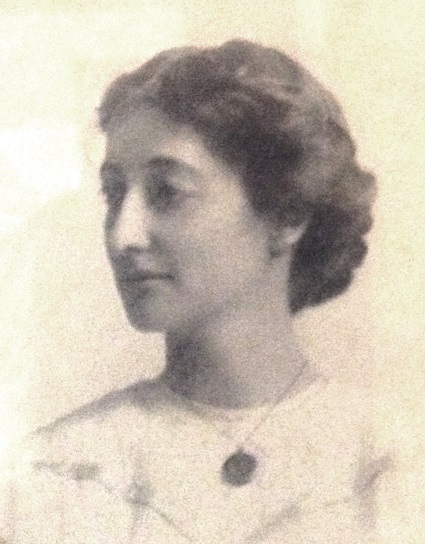 Soon afterward, Mrs. Aimee Kennedy came to Kingston from her home in Ingersoll for a visit. Although she had not intended to stay, she was persuaded to make Kingston her home and to accept the position of chief librarian. During her first year as librarian here, book circulation doubled. She retired forty years later, having developed the Kingston Public Library into one of the finest libraries in Ontario. By 1911, the library was located at the corner of Bagot and Johnson Streets, where the Family Medicine clinic is currently located. At that time, the corner was occupied by an empty butcher shop. Miss Kennedy started lobbying politicians to fund a local “free library” so she could loan novels, magazines and children's books to everyone in town. At the time, the idea seemed quite radical! In 1918, Mrs. Kennedy introduced a children's story hour, and it has been continued ever since. You can learn more about that and Explore the Library Shelves, 1918-style. Three years later, Kingston's library had the highest per capita circulation in the province. This was as if every man, woman and child in the city had borrowed 5 books. Since the library was still in the old butcher shop, Mrs. Kennedy said this development was “not bad for a meat market.” In those days, there was still a fee for using the library, but a movement had started to make library services free for all residents. 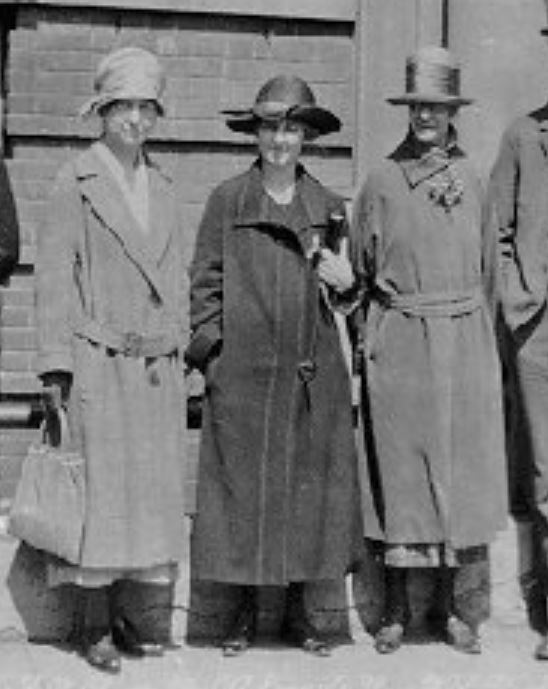 Mrs. Kennedy (centre) at a 1926 meeting of the Ontario Library Association. Mrs. Kennedy continued to run the library for another 25 years. 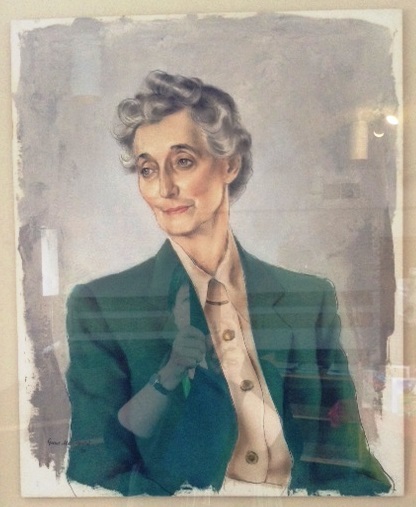 When she retired in 1950, a group of library patrons got together and commissioned a portrait by Grant Macdonald, which still hangs in the Central Library. 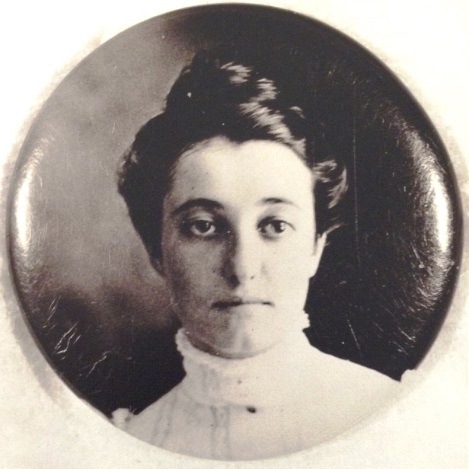 She was succeeded as chief librarian by Miss Mildred Clow.